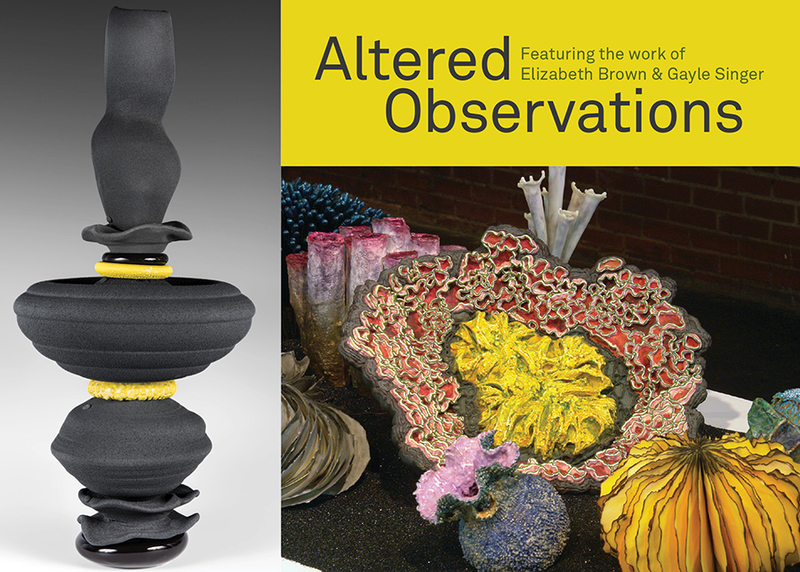 Artists Elizabeth Brown and Gayle Singer share their investigations of growth and organic forms through mixed media and porcelain works in Altered Observations. The exhibit is open Feb. 14 through March 31. Firehouse Arts Gallery is open weekdays 9:30 a.m. to 5:30 p.m. and Saturday from 10 a.m. to 4 p.m. Altered Observations transforms the FAC Gallery into an intriguing environment created through large-scale sculptures and installations that juxtapose familiar natural structures and textures with synthetic and organic materials. Brown and Singer created their works by hand using experimental and spontaneous approaches that subvert traditional artistic processes while exploring forms found in the natural world. "Repeats daily EXCEPT Sundays when Firehouse is closed"